Is your bathroom far from a contemporary spa-like retreat and in desperate need of a makeover? 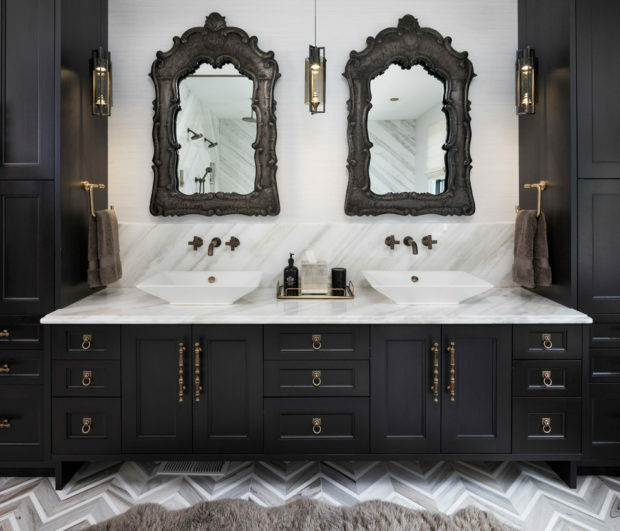 If you’re inspired to give your bathroom an updated look then why not learn about the latest trends first. Here are a few of the many looks that are gracing today’s most chic and up to the minute bathrooms. Whether it’s bath fittings, vanity units or storage cabinets, 2012’s contemporary bathrooms feature a neat silhouette achieved with simple straight lines. The focus continues to be on an uncomplicated and minimalistic look. 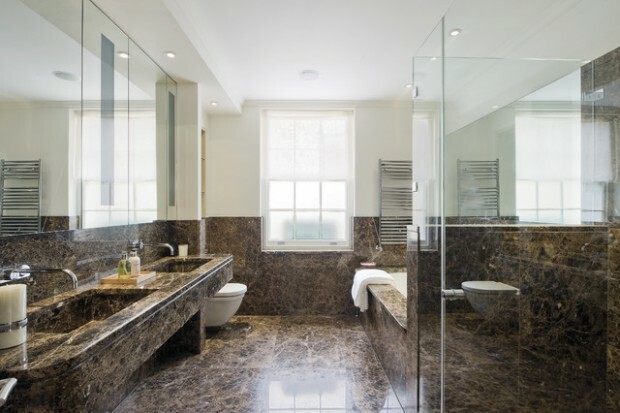 Effective use of lighting as well as adventurous bathroom lighting is another significant trend to look out for. Think hanging lights, decorative lights on the ceiling and even chandeliers fully equipped with dimmers for a super dreamy aesthetic. Though contemporary bathrooms are characterised by minimal storage, vertical cabinets are becoming a favourite among those homeowners who seek more practical elements within the room. Cabinets display traditional designs and finishes, whilst many fixtures are void of frames, and their handles are fully integrated into the design. 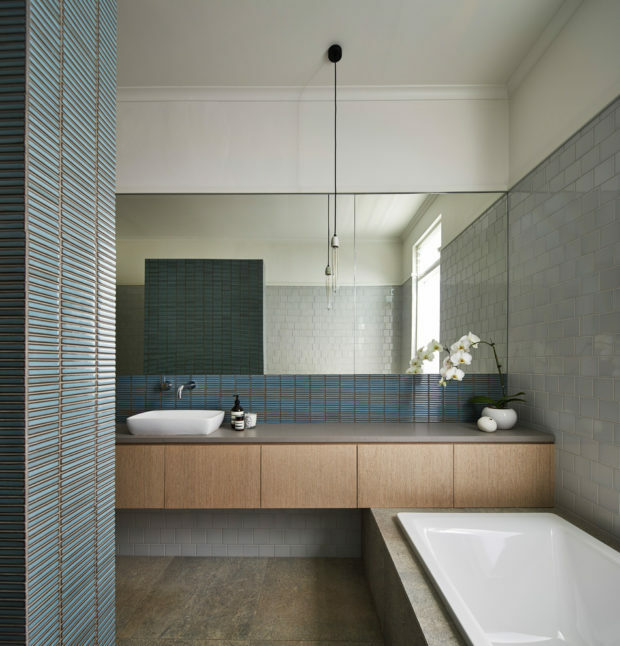 When it comes to bathroom tile trends in 2018, textured finishes along with a wide range of colours, from bright right through to dark tones, are proving popular. Those who crave a more natural, earthy look with a cool edge will be pleased to see metal tiles in home improvement showrooms. The combination of metal and ceramic creates an industrial vibe that is ultimately softened by natural tones such as earthy browns and ocean green hues. Graphics are also adorning tiles this year, offering a creative and vibrant aesthetic, whilst dark and somewhat dramatic trends continue to be popular in 2018.
Who can ignore the growing trend of technology being integrated into today’s modern bathrooms? 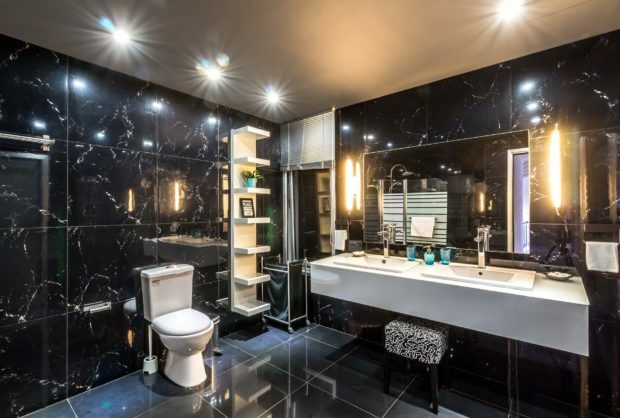 Whether it’s an MP3 player integrated into the toilet roll holder or a mirror cabinet that doubles as a television, technology has well and truly entered the wet areas of today’s modern homes! Contemporary faucets that offer hands-free operation are becoming more affordable and subsequently more popular among homeowners, particularly those who are keen to save water. Another popular water saving device is the smart shower. Incorporating technology that controls the spray and even the size of the water droplets – smart showerheads give the sensation of a full flow shower without the water wastage. The elderly are enjoying more years at home and with that sees a trend of walk-in bathroom fixtures to aid those whose mobility is impaired. Both walk-in showers and baths are being seen in sleek designs that blend seamlessly with chic vanity units. Furthermore, tubs with hand grips are proving popular and being offered in smart finishes such as chrome for a truly modern look. 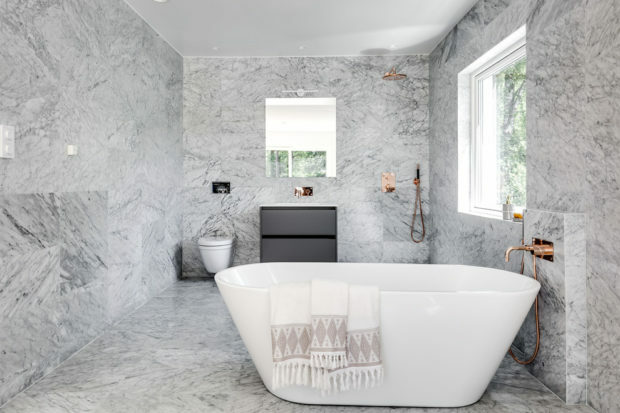 2018 has surely brought some fabulous innovations to the bathroom and with such a wide variety of design options available it is easier than ever before to create your ideal space to bathe in every day. Remember to always select quality items that will stand up to the high use that bathroom’s endure, that way you will get to enjoy your very own spa-like retreat for many years to come.